Colleagues from St. Peter’s Health Partners (SPHP) walked, raced, and paddled for several good causes over the past month! Congratulations to colleagues at The Eddy, who raised $10,614.75 on September 24 at the 2016 Capital Region Walk to End Alzheimer’s! Team Eddy was comprised of 63 employees and their relatives, along with family members of residents of The Eddy. SPHP and The Eddy are proud to partner with the regional Alzheimer’s Association chapter to support and raise awareness for this important cause. 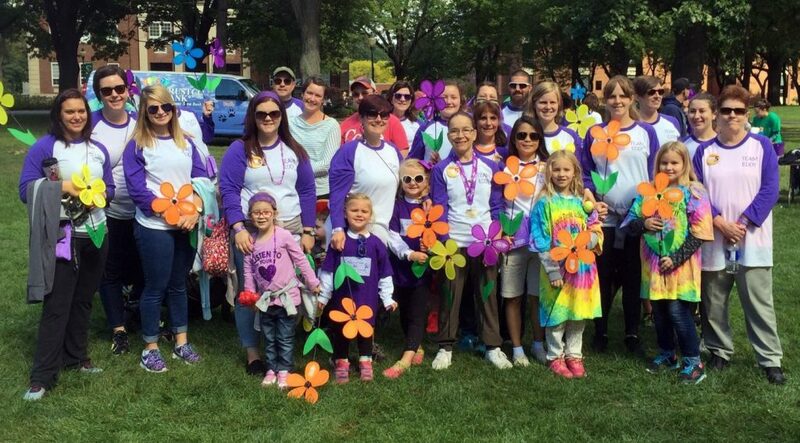 The Eddy once again sponsored the walk’s Promise Garden – an activity that allows participants to raise flowers representing their promise to remember, honor, care and fight for those living with Alzheimer’s disease and their caregivers. SPHP colleague Jess Flynn, community liaison with Eddy DayBreak Adult Day Services, led the effort. Kudos to the St. Peter’s Hospital Making Strides Against Breast Cancer team, which on September 25 held a kayak trip on Round Lake to raise money and awareness for the American Cancer Society! The team had 34 boats, up from 21 last year. The effort was led by Anne Lawton at the St. Peter’s Hospital Cancer Care Center, and the equipment was provided by Upstate Kayak Rentals. 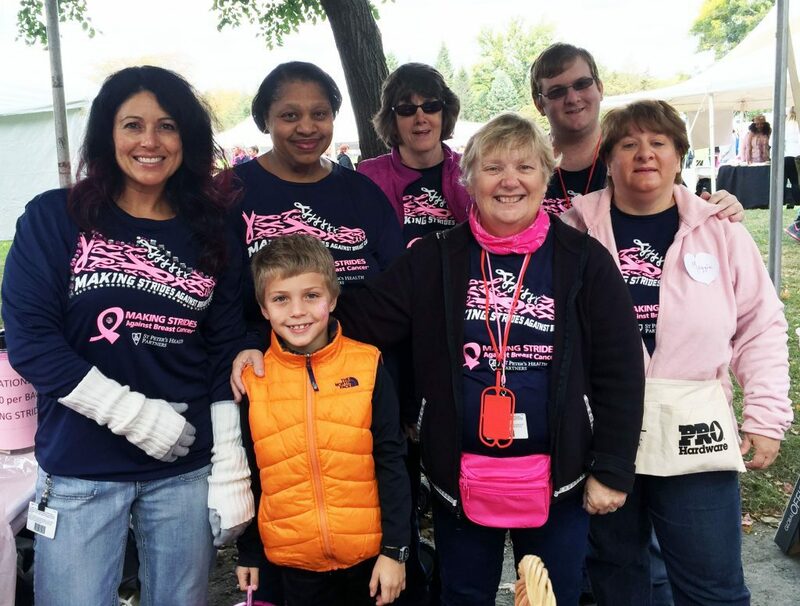 Last but not least, accolades are due to the SPHP colleagues and their fellow team members who raised more than $10,000 on October 16 at this year’s American Cancer Society Making Strides Against Breast Cancer event! Thank you for making a difference in the fight against breast cancer!